Better detection of a problem helps to cure the problem in an effective way. When it comes to dental issues it is very important to get to the problem and for that one needs a precise image. Digital x-rays help the dentist to get a precise and better look to the condition of the teeth and thus help to cure it in a perfect way. Digital X-rays are done with the use of the sensors contrary to the traditional X-rays where the x-ray film is being used. At Chatswood Family Dental Care We use Digital radiography technology rectifies and simplifies the way we care for our patients’ teeth, resulting in better dental assessments and treatment decisions. 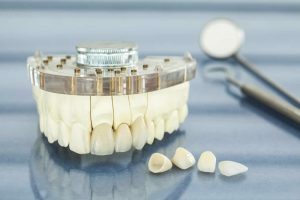 As the most important member of your dental team, you need to understand the situation and current conditions of your mouth, as well as our guidelines for treatment. Digital radiographs help us help you. Chatswood Family Dental Care works with the aim to give their patient the best of the treatment by using best techniques available in the market. Digital Radiography known as Digital X-Ray are being used at Chatswood Family Dental Care for a better assessment and treatment of our patient’ teeth. We use both intraoral and extraoral X-ray process to get the detail condition of the teeth. It provides the exact condition of the cavity or other issues of your teeth. Digital X-Ray needs special training to be performed. The training includes knowledge of updates, new process, and training on new equipments etc. At our Chatswood Family Dental Care professionals are well expert in conducting the process of digital X-Ray. Bitewing X-rays and Periapical (limited) X-rays are the two types of intraoral X-Rays are being performed. Bitewing X-ray is being used mainly to detect the gum diseases, bone density of teeth, determining the dental crowns etc. Periapical X-Rays helps to get the image of the whole tooth starting from crown to the root tips. It is mostly used in order to distinguish any abnormalities in the bone structure of the root or surrounding. Panoramic (Panorex) X-rays, Multi-slice computed tomographies (MCT), Cephalometric projections, Cone beam computerized tomography (CBCT) are some of the Extraoral X-Ray process. Panoramic (Panorex) X-rays are mostly used for forensic and legal issues especially in case of unrecognisable body. Multi-slice computed tomography (MCT) is used to get a clear picture of a layer which is not seen clearly.